hehesan Pack Portable LED Camping Lantern Flashlights - Survival Kit for Emergency, Hurricane, Outage，Camping,Reading,Fishing (Collapsible by hehesan at Kerinci. MPN: 9789. Hurry! Limited time offer. Offer valid only while supplies last. Features: 1. ULTRA-BRIGHT LIGHT - Camping Lantern Flashlight has full omnidirectional lighting, providing 360DEGof ultra-bright light. Our premium lantern can be used indoors and outdoors, so it will illuminate your surroundings wherever you go! 2. 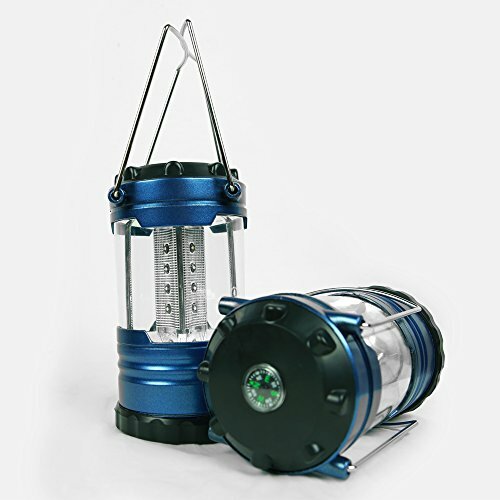 Lantern and Flashlight in One Design: With new design adopted, these led lanterns present an amazing outlook with high quality ABS Plastic material and steel stainless handle. You can use them as lantern stand on the table, hanging on the wall with top handle, or outdoor flashlight with side handle and switch button. 3. Compact, Lightweight and Collapsible:The lantern lamp is applied with collapsible design. When you want to use the lantern, just pull the handles up; otherwise a simple push to adjust brightness or shut off. Portable for you to take anywhere you like. Multi Functional Light for Home and Outdoor. Every home needs such a best lantern. Used as emergency kit when power if off for the poor weather, or light for outdoor activities like camping, hiking, fishing etc, or just flashlight for a walk. View More In Emergency Light Sticks. If you have any questions about this product by hehesan, contact us by completing and submitting the form below. If you are looking for a specif part number, please include it with your message.